Located in the Ohio region, Dayton is a town and its area, population and various key information is listed below. For all your administrative procedures, you can go to the city hall Dayton at the address and times indicated on this page or contact the town hall’s reception by phone or by email depending on your preference or the information available. Dayton satellite image: Dayton town from the sky! This hotel is located directly off Interstate 75 and is 5 miles from the University of Dayton. It boasts an indoor heated pool and on-site games room with billiards. 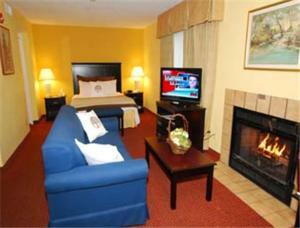 Each room at the Ramada Plaza Hotel features cable TV and free Wi-Fi access. This Extended Stay America - Dayton - North is located in Dayton and especially designed for longer stays, with all rooms featuring a fully equipped kitchen. The hotel offers free WiFi and a 24-hour front desk. Courtyard by Marriott Dayton North features an indoor pool, hot tub and guest rooms with free Wi-Fi and cable TV with HBO. The hotel is 6.5 miles from Dayton International Airport. This hotel is less than 5 minutes from the Dayton Mall and 15 minutes from downtown Dayton, OH. It offers an indoor pool and jacuzzi. The suites feature flat-screen TVs. The suites of this Dayton hotel are furnished with a sofa and work desk. Located just 15 minutes’ drive from the James M. Cox Dayton International Airport, this hotel features free Wi-Fi and an on-site fitness centre. The University of Dayton is 10 miles away.